Optimization of photosynthetic performance and protection against abiotic stress are essential to sustain plant growth. 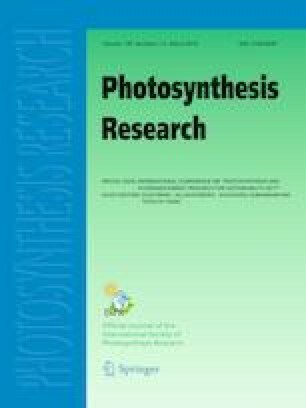 Photorespiratory metabolism can help plants to adapt to abiotic stress. The beneficial role of photorespiration under abiotic stress is further strengthened by cyclic electron flow (CEF) and alternative oxidase (AOX) pathways. We have attempted to critically assess the literature on the responses of these three phenomena—photorespiration, CEF and AOX, to different stress situations. We emphasize that photorespiration is the key player to protect photosynthesis and upregulates CEF as well as AOX. Then these three processes work in coordination to protect the plants against photoinhibition and maintain an optimal redox state in the cell, while providing ATP for metabolism and protein repair. H2O2 generated during photorespiratory metabolism seems to be an important signal to upregulate CEF or AOX. Further experiments are necessary to identify the signals originating from CEF or AOX to modulate photorespiration. The mutants deficient in CEF or AOX or both could be useful in this regard. The mutual interactions between CEF and AOX, so as to keep their complementarity, are also to be examined further. This work was supported by grants to ASR from Science and Engineering Research Board (SERB No. EMR/2017/005171) and Council of Scientific and Industrial Research (No. 38(1404)/15/EMR-II). DS supported by research fellowship from Council for Scientific and Industrial Research. RBB and VA were supported by research fellowships from University Grants Commission, New Delhi, India. We also thank grants from DST-FIST, UGC-SAP-CAS and DBT-CREBB, from New Delhi, India for support of infrastructure in Department/School.